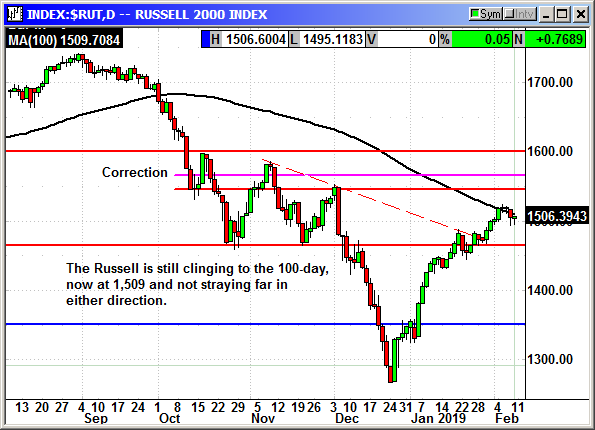 The S&P, Nasdaq and Russell closed with a gain but it was only a fraction of Thursday's losses. I think it is great that they rebounded from the morning weakness to close positive but losing 15 points and gaining back 1 point is not a successful trend. 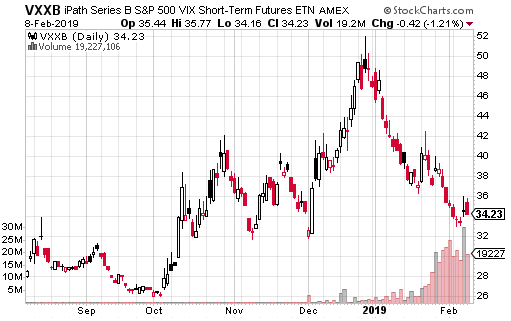 We need the small caps to recover from their four day pause and push back to 2-months highs to trigger some enthusiasm. 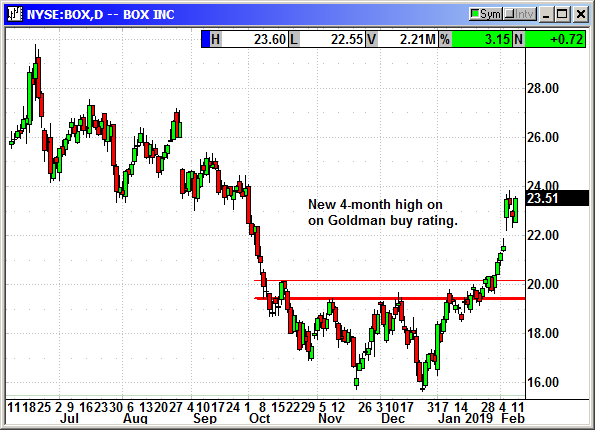 Box shook off the profit taking after the Goldman rating spike and rebounded to close at a new -month high. No specific news. New 5-month high close in a weak market. Original Trade Description: Feb 6th. 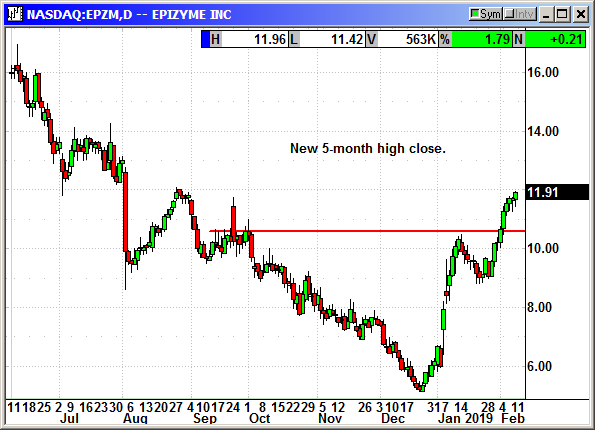 Long EPZM shares @ $11.63, see portfolio graphic for stop loss. 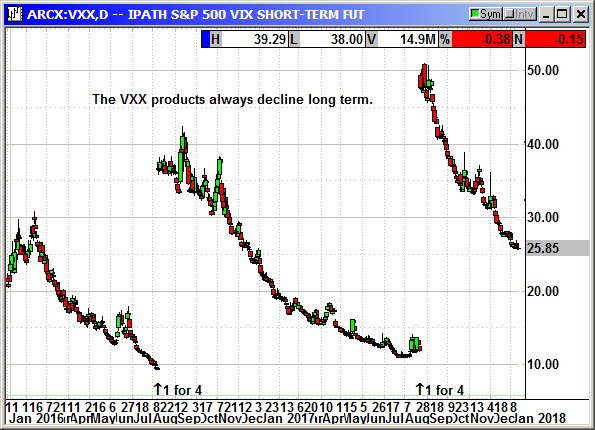 Optional: Long March $12.50 call @ $.55, see portfolio graphic for stop loss. No specific news. 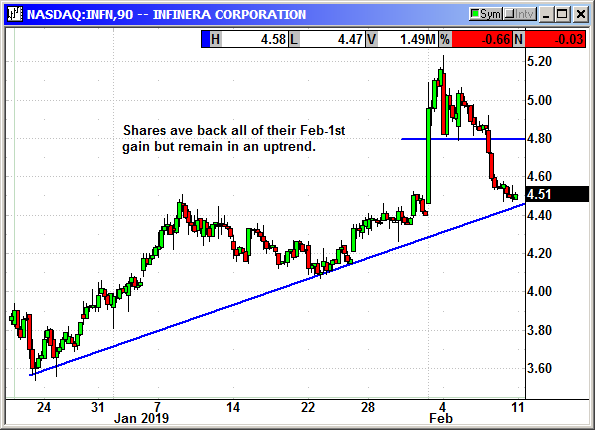 Shares completed their return to uptrend support after the unexplained spike on February 1st. Closed 2/7: Long INFN shares @ $4.22, exit $4.75, +.53 gain (12%). No specific news. We were stopped out of the stock position on Thursday's dip but big rebound today to inflate the option position. 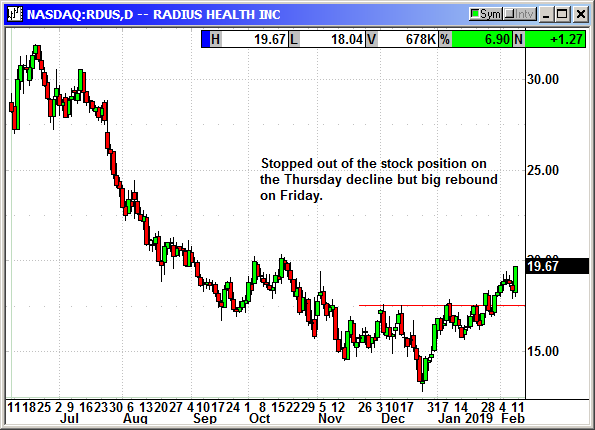 Previously closed 2/7: Long RDUS shares @ $18.70, exit $17.95, -.75 loss. Only a minor gain despite the weak market. We just need to be patient.